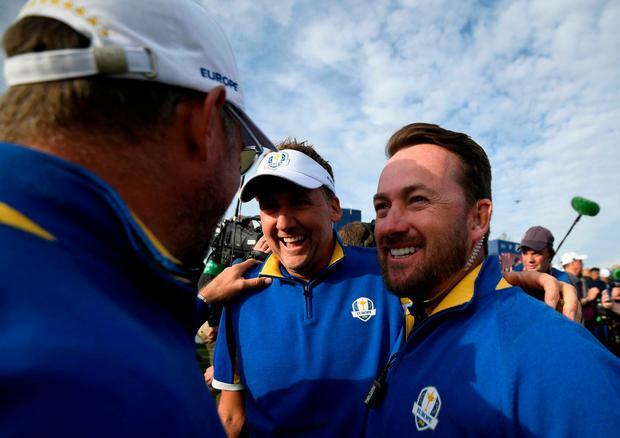 The Northern Irishman was one of Thomas Bjorn's five assistants, along with Robert Karlsson, Padraig Harrington, Luke Donald and Lee Westwood, for the victory at Le Golf National. McDowell is still an active player and knows he has a few years before he will be ready for captaincy, especially as there are a number of contenders for the upcoming events, starting at Whistling Straits in two years' time. "We've got a little bit of a log-jam of candidates coming up here, of which I am going to be one in the next 10 years," the 2010 US Open champion told Press Association Sport. "When you look at guys like Westwood, (Sergio) Garcia, (Ian) Poulter, Donald, myself and Harrington there are a lot of great players who are going to have an opportunity to captain a team. "I'd love to do it myself but I'm probably 10 years out but it was great to be part of it this week, I really enjoyed it." "Thomas went with the less-is-more. He did some really great motivational video work for the guys but he didn't 'over-captain'," added the Northern Irishman. "It was great to have our input at times but Thomas was polished. He was organised, he was calm, he was collected, it was a really good formula."